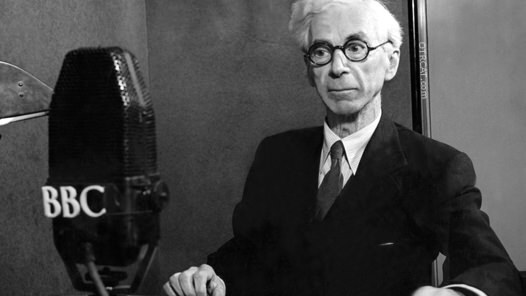 In 1953 Sir Bertrand Russell, one of Britain's premier philosophers, gave a series of lectures on the implications of Living In An Atomic Age. 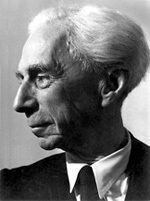 This fascinating seven-part lecture series is the full set of transcribed 1953 recording of the famous British philosopher, Sir Bertrand Russell. During the Second World War and the beginnings of the Cold War Network Radio presented a great deal of well produced programming in "The Public Interest." Not all of these programs can be called propaganda, but most of it does serve the interests of what President Eisenhower would later call "the Military Industrial Complex." The early years after the War were times of optimism, but also a time of growing fear. The Allies had vanquished their foes, not only with the virtues of American values, but also through the use of an almost inconceivable technological advance, the Atomic Bomb. The Atomic Age brought compounded fear when Soviet Russia, a tenuously allied with the US through WWII, became a competitor and even an enemy. Soon the Soviets developed their own Atomic bomb, which was both a surprise and alarm to American Security. 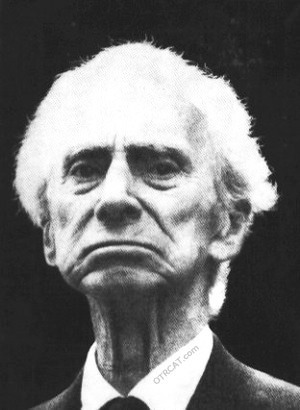 Beginning on May 12, 1953, the Public Relations Department of the American Broadcasting Company presented a series of lectures by Noble Prize winner, Sir Bertrand Russell. Bertrand Arthur William Russell, 3rd Earl was born in Wales in 1872. Russell began his study of higher mathematics at Trinity College in Cambridge in 1890. His lifetime of work would greatly influence logic, mathematics, set theory, linguistics, and philosophy. In the early 1900s he led "the revolt against Idealism" in Great Britain, and is credited as one of the founders of analytic philosophy. During WWI he was jailed for his pacifist anti-war activities. His anti-war stance would continue throughout his life, in 1961 he would be jailed again for a week because of his anti-war activities, at the age of 89! In 1965 he publicly tore up his Labour Party card protesting the possibility that the party would send soldiers to support the American efforts in Viet Nam. Given his controversial views, it is notable that his lectures would be presented to an American Network audience. Both American networks had presented many British produced programs through the period but both networks were owned by Military Industrial Concerns. Sir Bertrand's lectures presented the Living in an Atomic Age were broadcast in prime time in its entirety, in prime time no less. The most persuasive of the presentations is Sir Bertrand's summation in the seventh broadcast, "Reflections On Being Eighty." He summarizes his lifes work, his opposition to Fascism and Communism, and calls on leaders to follow the precepts outlined in the later "Russell-Einstein Manifesto," signed in 1955 by 11 prominent nuclear scientists. The Manifesto outlined the dangers of nuclear war, and called on world leaders to seek peaceful resolutions to international conflict. Albert Einstein signed the document just days before his death on April 18, 1955. For more compelling intellectual listening of the era, see also: America Town Meeting of the Air, University of Chicago Roundtable and Speaking of Liberty. Be the first to comment on "Living in an Atomic Age"